UltimatePanel is an ASP.NET navigation control to build advanced side panel bars. * Visual Designer - Fully integrated into VS.NET, also available as a stand-alone ASP.NET application. * Professional Style - Multi-level, treeview, drag-and-drop, group slip, filter, transition. 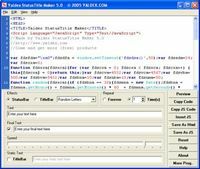 * XML and CSS - Panel structure and style based on XML and CSS industry standards. * Keyboard Support - Use shortcut keys to activate panel items. * Cross-Browser Support - IE4+, NS6+, Firefox 1.0+, Mozilla 1.0+, Opera 7.5+. * Client and Server Events - Raise client-side and server-side events when user clicks on panel items. * Client Persistence - Save the latest state of the panel on the client machine, and restore again at the next visit. * Hide and Show - Hide the panel, and show again when user moves mouse over the panel handle, or clicks it. * Auto Scroll - Automatically scroll the panel vertically and horizontally when the user scrolls the page. 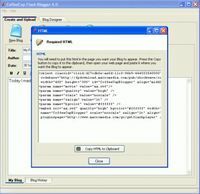 * Data Binding - Load panel from a data source as easy as setting a connection string. 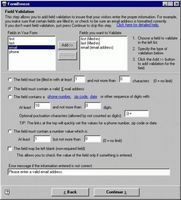 * User Rights - Display different parts of the panel based on user credentials. 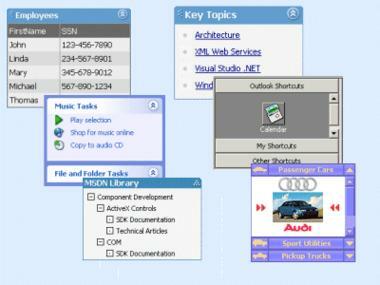 * Nested Controls - Insert ASP.NET server controls and HTML controls into panel items. * XHTML Support - Fully compliant with XHTML Transitional. VS.NET 2005 ready.